When looking at it from the outside, the For Sale By Owner option, or FSBO, may seem great. With a Realtor commission of 4-6%, wouldn’t it make sense to save yourself that money? Think again. In most cases, people choosing to take the FSBO route end up losing more than that when they try to sell on their own. Here are a few reasons to consider forgoing FSBO and hiring an agent. 1. Keeping emotions out can be difficultYour home typically means something to you. It is where you’ve created memories. Because of that, it can be difficult to remove your emotions from a sale. Agents are there to be a mediator for rejections or negative feedback. It can be emotionally tolling to have your home rejected multiple times. Having an agent there to negotiate terms, repairs, and everything in between will offer peace of mind instead of stress and heartbreak. 2. 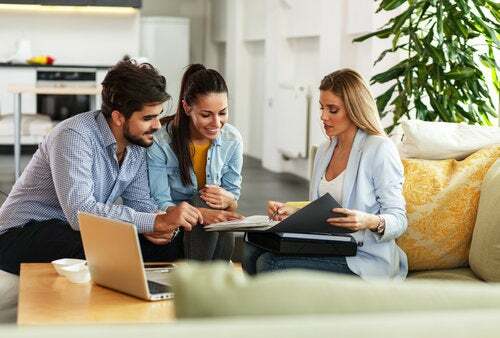 Selling a home can be a full-time jobEven if you don’t already have another job, selling your home can consume all of your time. Are you available to meet for a viewing or answer potential buyer calls at any time during the work day? Do you have the experience to market your home and ensure it is being seen by potential buyers? Even if you have some free time, selling a home can be a daunting task. It is the job of an agent to do all of this for you, so that you can sell your home without taking on the workload of another full-time job! 3. You could be suedThere is a reason agents need training. Legal paperwork is a core part of home selling and buying, and unless you are a lawyer, there is chance you may miss something in your paperwork. If you forget to disclose something you are aware of, even accidentally, you could be held liable for fraud. Why risk the cost of a major lawsuit when you can hire a knowledgable agent instead? 4. You aren’t actually saving moneyWhen you have minimal knowledge on how to negotiate the price of your home or how to market properly, the fact of the matter is that you are probably going to have to sell your home for much less than you planned. That loss is usually much more than the price of an agent’s commission. You wouldn't want someone who isn't a doctor performing your surgery, so why try to sell your home on your own when you aren't a real estate agent?